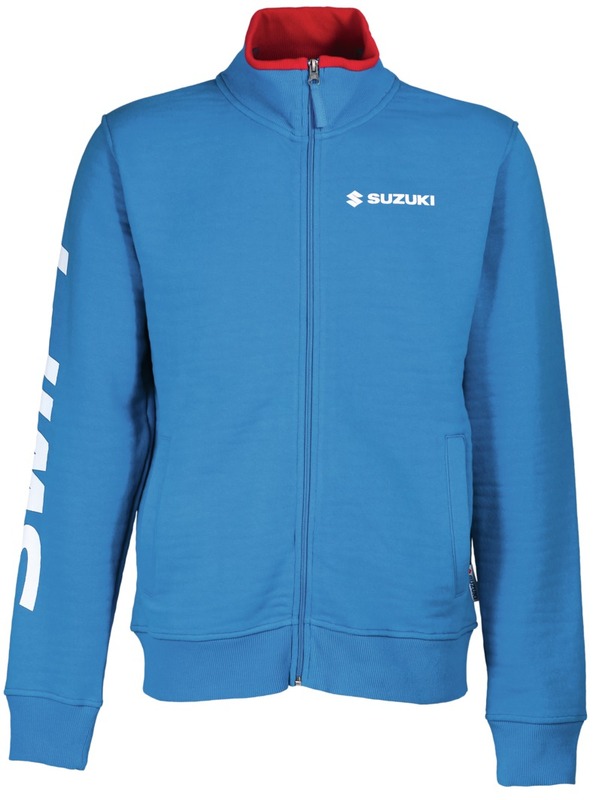 SWIFT COLLECTION - BOUTIQUE - SUZUKI MOTOR - Magyar Suzuki Zrt. Red and blue noeprene, metal carabiner. 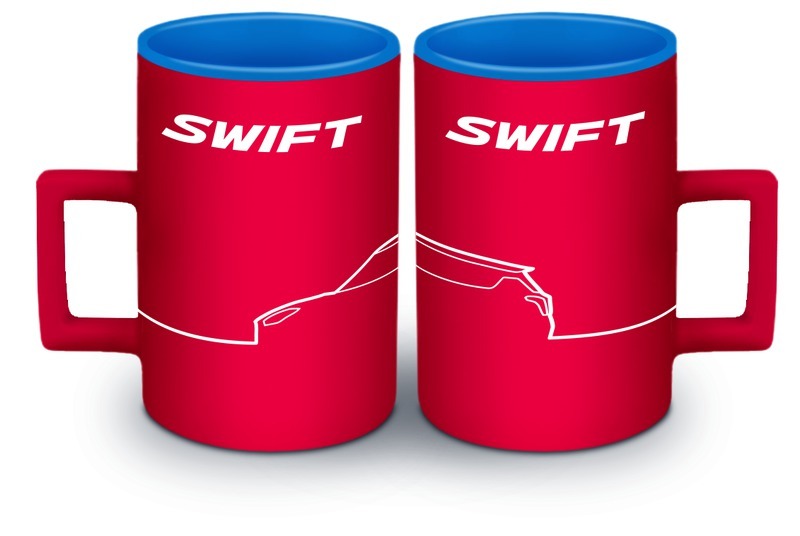 Red and blue design, ceramic, suitable for microwave and dishwasher. 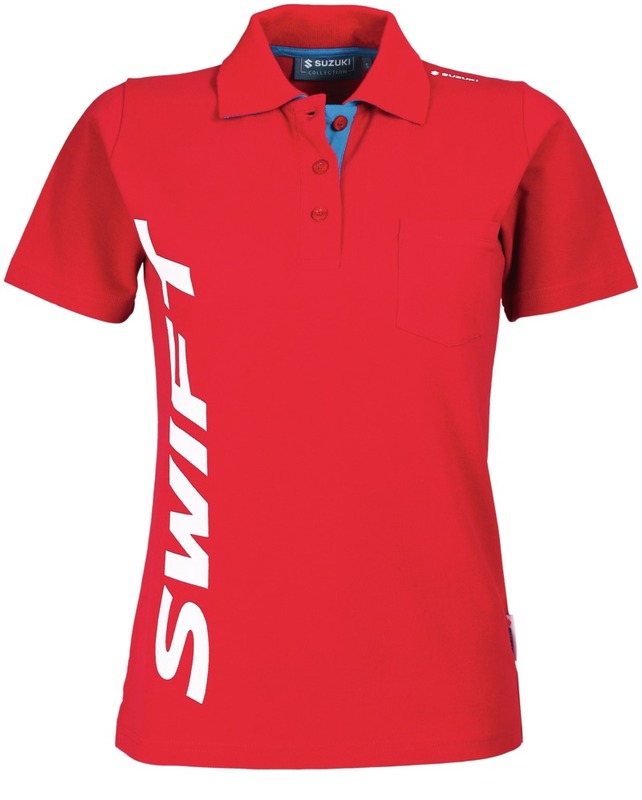 Red with blue contrast colour, ladies-fit, fitted breast picket, 100% cotton piqué. Sizes: XS/S/M/L/XL. 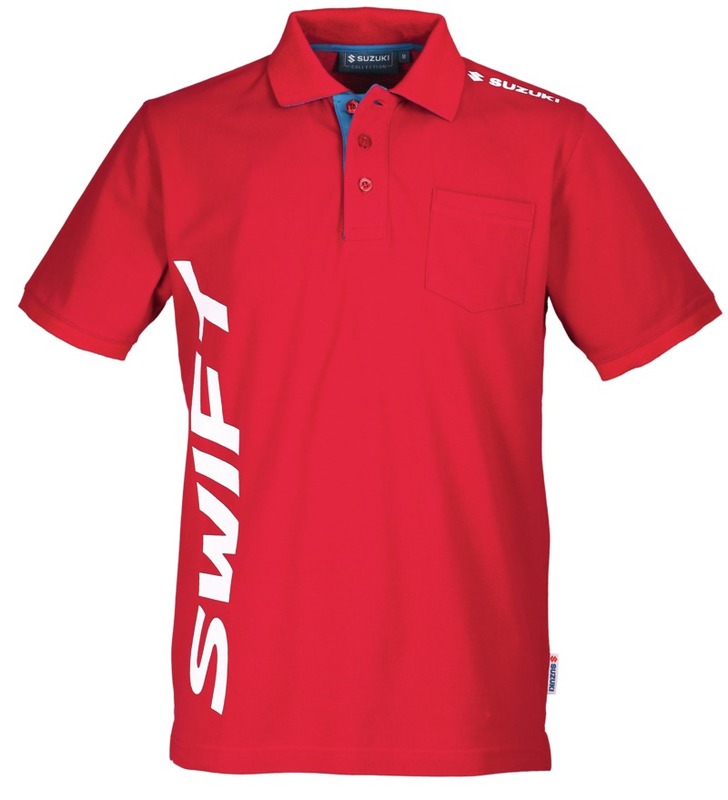 Red with blue contrast colour, fitted breast pocket, 100% cotton piqué. Sizes: S/M/L/XL/XXL. 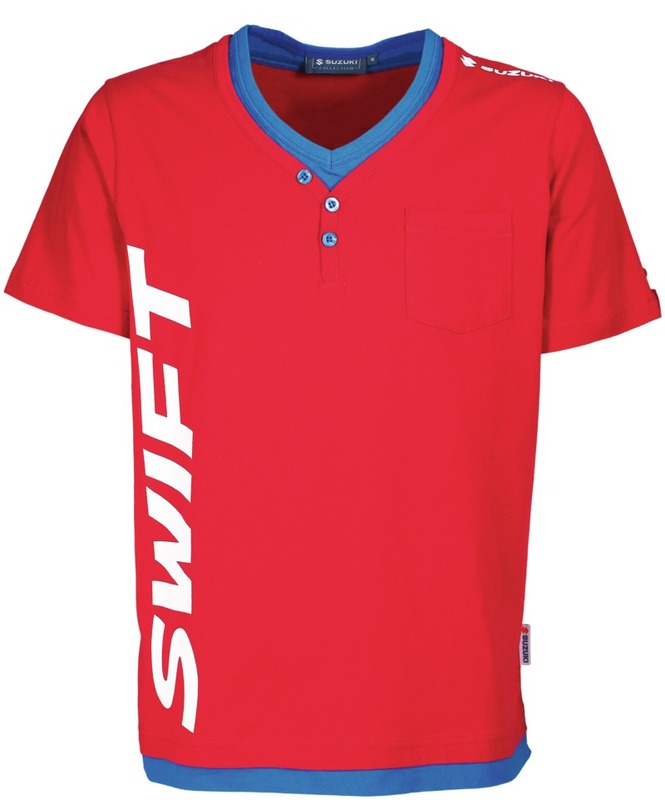 Red with blue double layer on neck and seam, fitted breast pocket, 100% cotton single jersey. Sizes: S/M/L/XL/XXL. 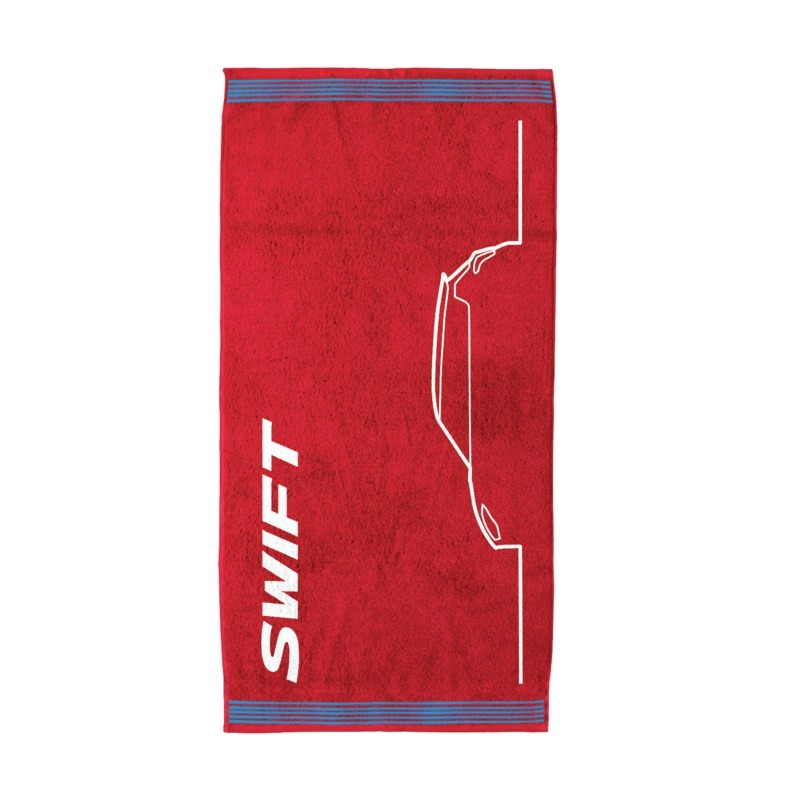 Red with blue contrast colour, 100% cotton, dimensions: 140 x 70 cm. 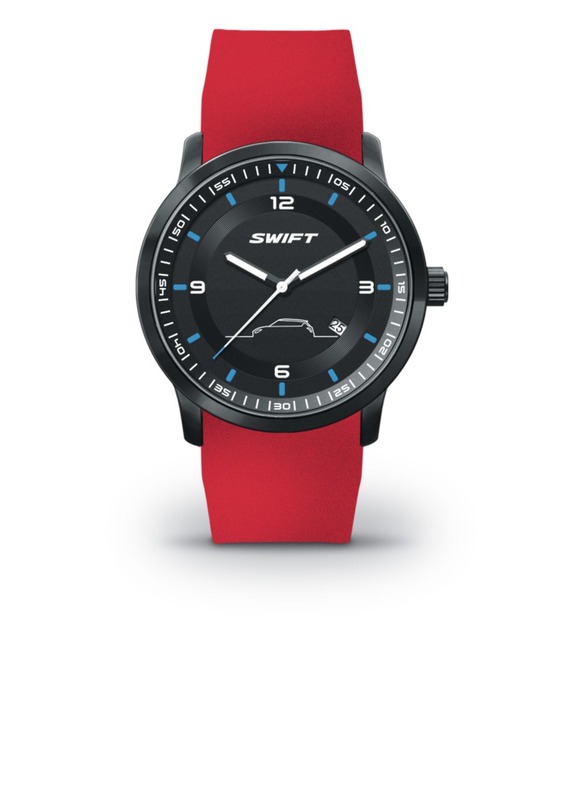 Black stainless steel case, red caoutchouc strap, 3 ATM water resistant, mineral glass diameter: 44 mm.